Hot Springs, Arkansas – National Park College (NPC) and Southern Arkansas University (SAU) announced a degree partnership that will bring bachelor’s degree programs to Hot Springs beginning in fall 2019. The agreement was approved Wednesday, Feb. 27, during the February Board of Trustees meeting at NPC. All four years of the three new degree programs will be offered through the National Park University Center on the NPC campus. Students will complete the first two years of the degrees enrolled as NPC students and the junior and senior years enrolled as SAU students. The degrees will include Biology, Pre-Health; Chemistry, Pre-Health Biochemistry; and Computer Science. Students will pay NPC tuition rates for the first two years of coursework and SAU tuition rates for the junior and senior year coursework. Fees will be shared among both institutions. Students who participate will have access to all of the services and resources NPC offers, as well as those SAU offers. Students will earn an associate degree diploma from NPC and a bachelor’s degree diploma from SAU upon graduation. “We are very grateful to SAU for their willingness to invest in Garland County students. We expressed the need for a partner to offer bachelor’s degrees on our campus and they have answered the call,” he added. More information about the degree plans can be found at saumag.edu/npc. Pictured is Hogan and Berry shaking hands following the board’s approval of a degree partnership between NPC and SAU to bring three new bachelor’s degrees to Hot Springs beginning fall 2019. 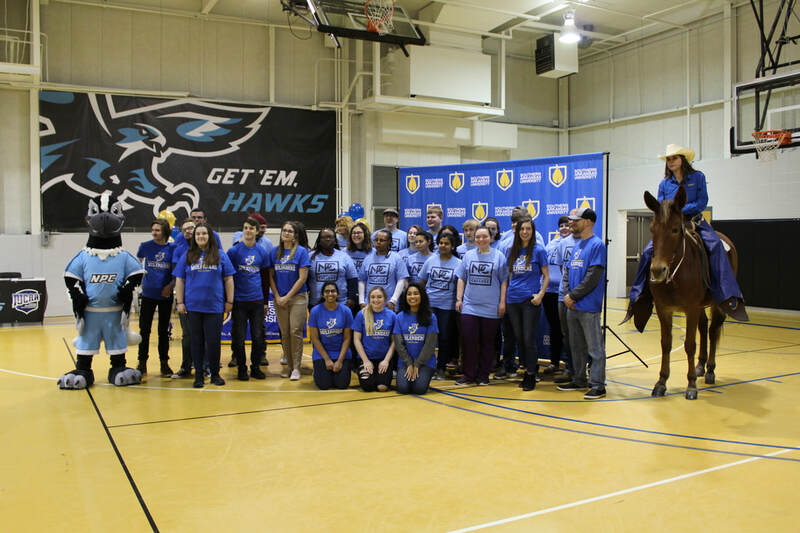 Southern Arkansas University “feels like home” with personalized tour visits, a student-centered atmosphere, and a beautiful campus that is buzzing with energy and life. SAU also offers more than 80 traditional and unique academic degree programs that are ranked nationally for quality and affordability. The list of opportunities available outside of the classroom at SAU is as broad and diverse as the list of degree programs. To find out more, visit www.SAUmag.edu. Jonesboro, AR. 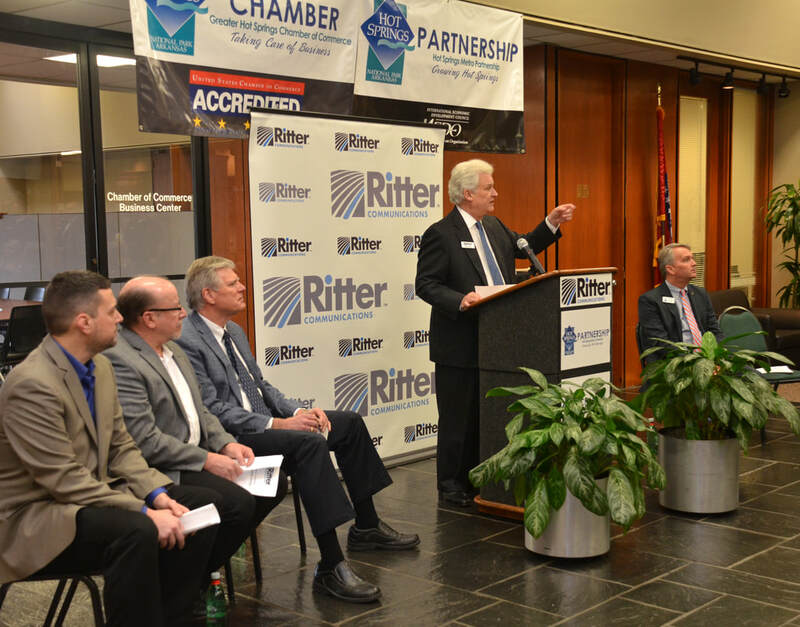 – (February 15, 2019) – Ritter Communications, the state’s leading broadband provider, announced today that it is bringing state of the art communications technology and advanced business services to Hot Springs. Ritter Communications, headquartered in Jonesboro, is investing $7 million in infrastructure construction to give businesses in the Spa City access to the highest speed, 100 percent fiber internet, voice, cloud solutions, networking and television services by late summer. Garland County Judge Darryl Mahoney, Hot Springs Mayor Pat McCabe, Gary Troutman of the Hot Springs Metro Partnership, Hot Springs Chamber of Commerce representatives and Ben Van Wagner, Oaklawn Jockey Club Director of IT joined Ritter President, Alan Morse for the announcement. At this time, the company plans to offer only business services in Hot Springs. Ritter Communications is a regional telecommunications provider serving 89 communities and over 45,000 customers across three states with a full suite of innovative communications services. Ritter Communications, founded in Marked Tree, Arkansas and headquartered in Jonesboro, began providing local phone service in 1906. Today, Ritter serves 89 communities and more than 45,000 customers across Arkansas, southeast Missouri and west Tennessee. The family-owned company has grown steadily over the years, expanding rapidly since 2010 and is now the largest locally owned regional fiber, telecom, video and cloud services provider in the state. Ritter invests heavily in the communities it serves by deploying proven, best-in-class infrastructure and technology while coupling it with a world-class customer focused experience. The company is a wholly owned subsidiary of E. Ritter and Company, which also operates Ritter Agribusiness and Ritter Investment Holdings. The Hot Springs Metro Partnership along with Visit Hot Springs held a Career Exploration Fair for Garland County 11th-grade students. The fair was held on Thursday, Jan. 31st, from 8 a.m. to 2 p.m. at the Hot Springs Convention Center Hall D.
The purpose of the Career Exploration Fair was to expose students to local opportunities in the technical and trade-skills fields. At the fair, representatives from area manufacturing businesses were on hand to answer questions, perform demonstrations, and give students hands-on information so they may better understand the career path possibilities available to them following high school. It was a great opportunity for students to visit with those working in the field and glean first-hand knowledge of potential career paths. Garland County is home to several major manufacturers that produce products shipped world-wide. Among those companies is Alliance Rubber, which is the number one producer of rubber bands in the world. They manufacture 2,200 products and market them in 55 countries. The leading supplier of team sports accessories also calls Hot Springs home. Tanners Team Sports works with brands like Rawlings Sporting Goods to develop accessories that complement their line of product, like bat grips and glove oil. They also produce an in-house brand, Vulcan Sporting Goods Co., and work with major retailers. The Hot Springs area is also home to several aerospace manufacturers. Students interested in airplane mechanics and manufacturing were shown a great deal of opportunity in Hot Springs through Triumph Airborne Structures, Triumph Fabrication, CMT, Airtech Supply, and Cobalt Aero Services. Workforce development is a main initiative of the Partnership in 2019. Oaklawn Racing and Gaming today announced plans to build an expansion project in excess of $100 million that includes the construction of a high-rise hotel, multi-purpose event center, a larger gaming area, and additional on-site parking. The project is one of the largest hospitality investments in the history of Arkansas. HOT SPRINGS, AR. 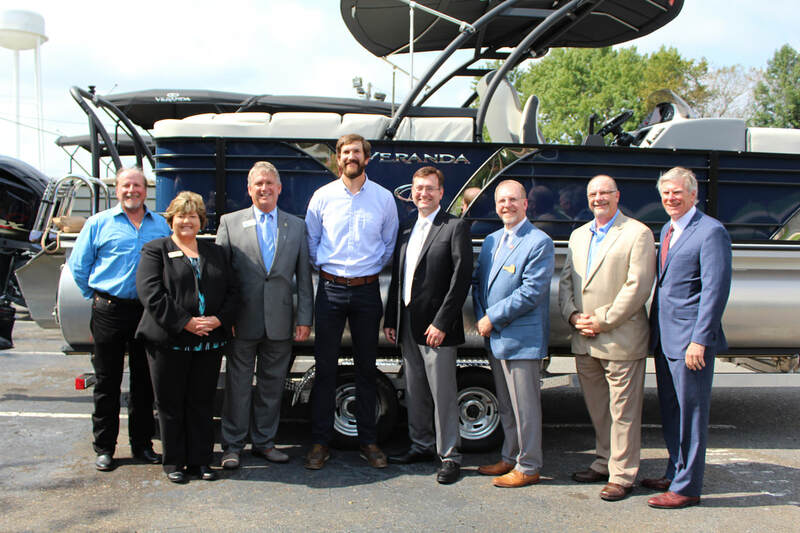 AUGUST 20, 2018 - Veranda Luxury Pontoons announces the purchase of a 377,000 square-foot manufacturing facility, formerly General Cable plant in Hot Spring County, AR. Veranda Luxury Pontoons is a 12-year-old company built on an innovative, patented interlocking deck system that creates the finest platform for luxury and performance pontoons in the industry. Veranda is a sister company to Xpress Boats, a 53-year-old family-owned, family-operated, high-performance all-welded aluminum fishing and hunting boat manufacturer that pioneered welding aluminum boats. “The heritage and DNA of our company started—and continues to this day—with a focus on innovation. My grandfather and company founder was the original to all-weld an aluminum boat to create a unibody structure, and today Veranda employs a patented, all-aluminum system that’s completely wood free,” said president, Rory A. Herndon. Veranda Luxury Pontoons is one of the fastest-growing companies in its category. This new facility will allow us not only to expand our business and provide more product to our dealers, but most importantly employ hundreds of new and talented craftsmen and women from our community. This expansive office and manufacturing space will aid in improved production efficiencies, and enhanced quality, while maintaining and sustaining positive incremental growth”. Triumph Airborne Structures announced it plans to hire 40 new employees after being awarded repair and maintenance contracts with a U.S. airline operator and for an unspecified military cargo aircraft. They recently held a job fair to recruit mechanically skilled aerospace employees. Triumph Airborne Structures employs about 225 people at its Hot Springs facility and is the third largest employer in the Hot Springs area. ​For the full story click here. (Hot Springs, AR) June 11, 2018 – The Hot Springs Metro Partnership announced the addition of Michelle Ratcliff as economic development manager. In this role, she will work primarily with existing businesses and industry to maintain a database of pertinent information that can facilitate assistance in helping Hot Springs region employers in achieving their growth goals. She will also provide staff support to volunteer committees and task forces in the successful implementation of annual strategic plans for existing business retention and expansion, workforce development, entrepreneurial development, marketing and research. "I look forward to working with the business and industry leaders in our community by providing support and assistance for them and their employees, and by helping to create opportunity for continued growth in the region,” Ratcliff said. “The Metro Partnership has a great team focused on the success of everyone in this area and I am honored to be a part of it." Ratcliff and her husband, Mike, owned Lawn Doctor of Hot Springs for 17 years and most recently she has been affiliated with Cooperative Christian Ministries & Clinic. She holds a bachelor’s of science degree in human resource management from Louisiana Tech University. She has a solid background in personnel management and has worked with senior management of companies. Ratcliff is the current United Way of the Ouachita’s Board President, Vice President of the Hot Springs National Park Rotary Club and serves on the Ouachita Children’s Center board. Named the 2016 Greater Hot Springs Chamber of Commerce Woman of the Year, she is also the 2015-2016 Hot Springs National Park Rotarian of the Year. The mission of the Hot Springs Metro Partnership is to create economic opportunity throughout the Hot Springs Region. (Hot Springs, AR) May 3, 2018 – On Thursday, the Greater Hot Springs Chamber of Commerce celebrated the 100th new business to open in downtown Hot Springs since the 2014 Majestic Hotel fire with a special ribbon cutting at Vault, the highly anticipated new downtown restaurant. “One hundred new businesses opening in four years is an incredible milestone. It’s real proof of a very strong economy in downtown Hot Springs,” said Cole McCaskill, Vice President of Economic Development with the Hot Springs Metro Partnership. In addition to 100 new businesses since the fire, Downtown Hot Springs has seen 82 commercial property sales and more than $80 million in investment. The Majestic Hotel was one of Hot Springs’ oldest structures. It unfortunately that became dormant and fell into disrepair before catching fire in February 2014. The loss of one of Hot Springs’ historic and iconic buildings mobilized city and business leaders into action to revitalize and preserve the downtown area. Downtown Hot Springs, “America’s First Resort,” is famous nationwide for its history and culture. It is important to the people of Hot Springs to see this area flourish. In the weeks following the fire, civic groups formed the “Downtown Game Plan Task Force” comprised of community leaders and downtown stakeholders that sought to prevent future tragedies like the fire and to improve the course of downtown which had suffered from a lack of investment for several decades. That group met publicly and privately for four months and ultimately released a set of recommendations for the progress of downtown. The HSMP adopted those recommendations as a strategy and hired McCaskill as downtown development director in June 2014. Each year since the fire, downtown has experienced subsequent rising investment levels. In 2015, downtown saw the nearly year-long master planning process from ideation to completion with the facilitation by Thomas P. Miller and Associates from Indianapolis. That strategic planning process sought input from downtown business owners, Garland County residents and visitors for what they’d like to see in downtown. The Downtown Redevelopment Guide was published and its goals and strategies were adopted to provide a framework for growth and development for downtown by the City of Hot Springs and the HSMP. The Chamber and HSMP look forward to future growth and expansion in the downtown area. 17. State & Pride Provisions Co. The Greater Hot Springs Chamber of Commerce is Hot Springs’ leading advocate and champion for business. (Hot Springs, AR) March, 12, 2018 – The Hot Springs Metro Partnership is taking a new entrepreneurship development approach to economic development in addition to helping businesses expand in the region and attracting new ones. Thermal Fusion, a new business incubator, is designed to inspire a new generation of entrepreneurs and is the first stage of developing that ecosystem, said Cole McCaskill, vice president of economic development with the HSMP. With this new approach, the HSMP can give entrepreneurs the tools to help them establish new businesses and encourage them to grow in Hot Springs from the ground up. “It makes sense to help early stage businesses get off the ground so that they can grow and create jobs in the local community,” McCaskill said. As a client of Thermal Fusion, startups and entrepreneurs will receive highly discounted office space for lease and access to all modern office amenities including meeting rooms, utilities, internet, reception, telephone and copier. Budding companies will also have access to a mentor network of experienced business professionals and receive world-class legal, marketing, accounting and human resources advice and instruction. 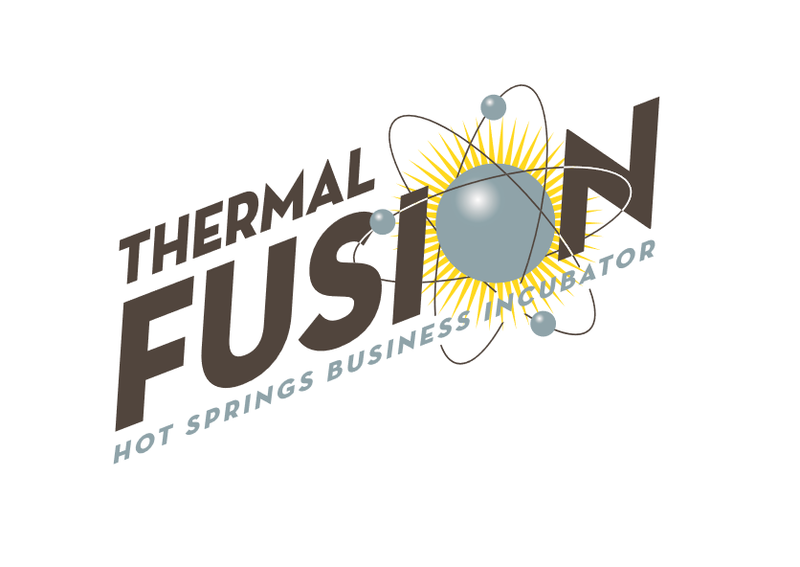 Thermal Fusion will be a partnership with the Greater Hot Springs Chamber of Commerce, Henderson State University School of Business, the Arkansas Small Business and Technology Development Center at HSU and the National Park College Innovative Technologies Center. For more information about Thermal Fusion, email McCaskill at cole.mccaskill@growinghotsprings.com. HOT SPRINGS, Arkansas (January 9, 2018) – To continue to support its rapid growth, Timber Automation is investing more than $3.5M in new customer support, engineering and manufacturing jobs as well as capital equipment at its 145,000 square foot facility in Hot Springs. Timber Automation provides custom engineered equipment and control systems for woodyards and sawmills that maximize yield, increase uptime and reduce production costs. It was founded by Hot Springs locals and has been part of the community for more than 25 years, first as Hi-Tech Engineering in the early 90s and more recently as Baxley-LogPro from the mid-2000s. In 2017, the company rebranded to Timber Automation, officially bringing together Baxley, LogPro and newly-formed Timber Automation Construction, which completes turnkey construction and equipment installation. "Our community is excited to learn of Timber Automation's growth outlook which will bring significant investment and jobs to the greater Hot Springs community," Hot Springs Mayor Pat McCabe said. "As a cyclical business, prudent management decisions have allowed Timber Automation to position itself to take advantage of the current economic environment to satisfy the needs of existing customers and grow new ones. This new capital investment reaffirms the company's bright outlook." For more information on Timber Automation, visit www.TimberNA.com.